I discovered Roald Dahl when I was a kid. 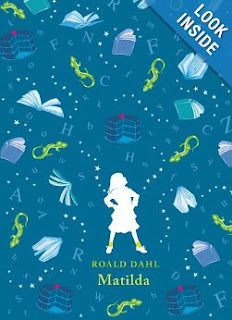 I was a persnickety reader, even back then, so it took me a while to pick up Matilda after I received a box set for one holiday or another. Once I finally got over myself, I loved the book, and then I didn't read it again for 23 years. I've long been a fan of the film adaptation of this book, and I watch it semi-regularly. Every time it came on TV when I had satellite, I would watch it (which was pretty often). When I switched to streaming-only, it was on Netflix, so I watched it for "noise" quite often. In re-reading this book, the biggest difference is in the ending! The film added a lot of drama to the climax of this book, and while it was certainly necessary for the film version, I think this book is simply perfect as it is. I'm planning to read a couple more Roald Dahl books in the upcoming Dog Days of Summer Readathon. What do you recommend? The only ones I've read are the Charlie books, George's Marvelous Medicine, and Matilda. Somehow I think I might've tried James and the Giant Peach along the line, but I don't know if I ever finished it. Sarah Crewe is daughter to a wealthy man who adores her. He puts her into a boarding school for girls in London while he pursues his fortune in India and abroad. Sarah Crewe is the apple of the headmistress's eye, until her father dies and the money is gone. Rich to poor. Cinderella. Just like that. But Sarah Crewe is unsinkable. This is one of those children's novels in which the heroine is unbelievably upbeat and determined to be good. So unrealistic. But did it matter? Nah. It was a fun, cozy book and I enjoyed it immensely. 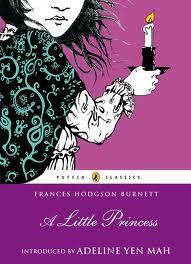 I think I might've actually preferred this book to The Secret Garden, since we all know I had issues with that ending. 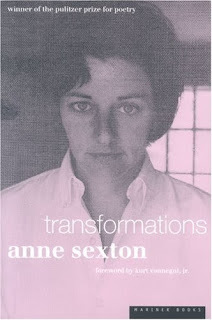 And then there's Anne Sexton and her collection of poetry, Transformations. Is Sexton what happens when Sarah Crewe grows up to be cynical and snide? Maybe. This is a collection of poems based on Grimm's folk and fairy tales. I've read it umpteen times, and I still love it. I wasn't as in the mood for it this time as I have been on prior readings, but it's still good stuff. Sexton narrates the poems from the POV of a "wicked witch." The aging, cigarette smoking, bitter, everyday witch, that is. Pretty great, right? You can read the whole poem here. Little reviews for little books. Which teensy weensy reads have you undertaken lately?